I believe passionately that we can not enter God's family through our our effort. I can not be good enough for God by being good. I can not make amends for my sin buy doing good deeds. My salvation is a free grace gift from God which is all his doing. Justification by faith alone would have been how Martin Luther would have put it. But the bible does not ignore our "works". In another part of James he says "Faith without works is dead". The free gift of salvation from our helpless situation MUST result in works. Not to earn salvation or favour but as sign of humble thanks to our incredible God. As a pastor I am continually confronted with the debris of peoples lives who have a disconnect between "faith" and "works". Men talk about what God has told them whilst verbally (or physically) abusing their wife. Men talk about the faithfulness of God whilst being unfaithful to their wife. Women talk about the love of God whilst gossiping about their husbands. Parents talk about God the wonderful father whilst walking out on their kids. Parents talk about how precious they are to God whilst telling their children in so many ways they are worthless. It breaks my heart to see the hurt that sin causes. 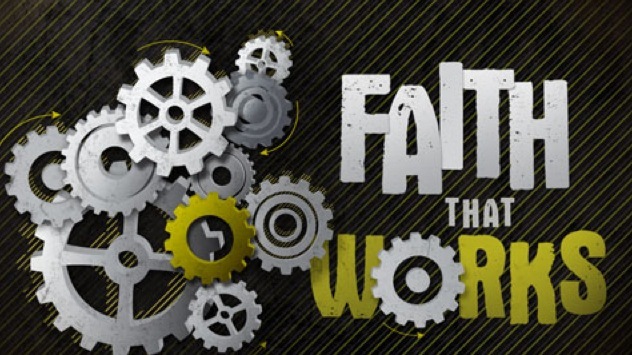 It crushes my spirit to see what "faith" without "works" can do. Thank you father for this amazing salvation that I did not deserve. Thank you for not treating me as I deserve. Help me to love you more. I know that's a strange ask because you should already be the sole object of my affection. But I need your help so my works will complete my faith.